Fighting fires at night is an effective tool for combatting threatening wild fires. Temperatures drop, humidity typically increases and it is easier to spot hot spots at night making nighttime firefighting ideal. Now, CO Fire Aviation has a new tool to combat fires at night. Aviation Specialties Unlimited, Inc., (ASU) recently modified an Air Tractor AT-802F for night vision goggle (NVG) operations giving pilots an increased advantage in the safety and effectiveness at night. 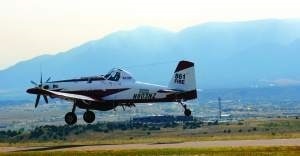 Durango Air Tanker Base prepares for busy year. The single-engine plane, capable of carrying 800 gallons of fire retardant, can take off quickly and make precise drops to prevent small wildfires from growing into behemoths, said Allyn Herrington, single-engine manager. Large planes may have to come from more distant locations, such as Denver, he said. CO Fire Aviation gets five-year Colorado aerial firefighting contract. When Kyle Scott went into the aerial firefighting business with partner Chris Doyle in 2015, the goal was for their Fort Morgan-based CO Fire Aviation to eventually get a long-term contract with the state of Colorado. Fort Morgan is the home of a top-notch aerial firefighting company, CO Fire Aviation, and its massive AT-802F tanker aircraft. But that plane will spend 75-day stretches of the next 10 years in Oregon, since CO Fire Aviation scored an exclusive-use aerial firefighting contract with the Oregon Department of Forestry. 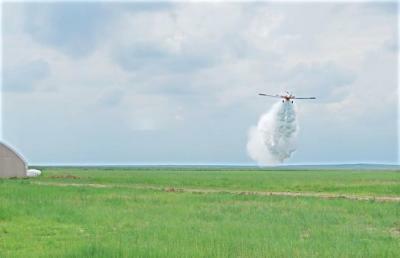 Last week firefighting aircraft took to the skies just outside of Fort Morgan Colorado. The five pilots and two aircraft were participating in the annual aerial firefighting training hosted by CO Fire Aviation, just in time for the busy summer wildfire season. The training was conducted by Mark Bickham, of Salvo, L.L.C., a consultant who is one of the nation’s top consultants in Fire Aviation Studies and Advisory Services. A single-engine air tanker takes off from Fremonth County Airport Tuesday. It was one of four small planes making retardant drops on the Junkins Fire. When a wildfire is raging, sometimes the only way to get to it is from the air, and now there is an aerial firefighting company based in Fort Morgan.